I had the pleasure of reading this wonderful book by Tricia Goyer and Ocieann Fleiss. If you have not had a chance check out my two previous blog posts. 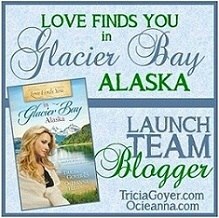 Love Finds You in Glacier Bay, Alaska - Preview Post and Love Finds You in Glacier Bay, Alaska - Review Post In these posts you will find out more about the book, ways to pre-order, pictures of Glacier Bay, and what I thought about the book. I hope you take the chance to check everything out. 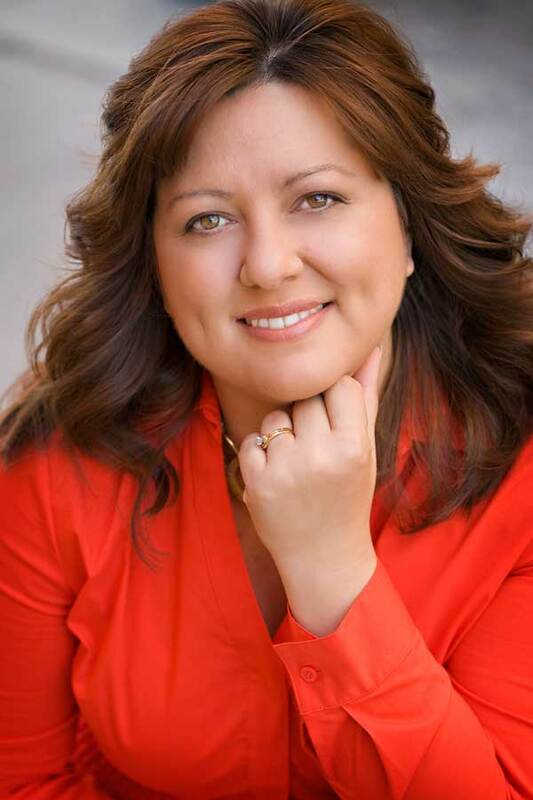 In this post I am going to give you a glimpse into author Tricia Goyer's world. Thanks for stopping by. I first thought about writing in 1993. A friend from church, Cindy Martinusen told me about her aspirations to become a novelist. My first thought was . . . Real people do that? She invited me to attend Mount Hermon Christian Writer’s Conference with her. I was new as new can be. I was also 22-years-old and pregnant with my third child, but I learned enough at that conference to start off on the right track. And I’ve been actively working at my writing ever since. How I balance being a writer and a mom? My favorite author is Francine Rivers. I LOVE her novels. Also, I know her as a person and I know these novels don't come easy. I've been with her as she's spent days pouring over Scripture to get her mind focused on the characters in her novel--as they relate to Biblical people. She's as amazing in person as her books are! I had the pleasure of reading this wonderful book by Tricia Goyer and Ocieann Fleiss. If you have not had a chance check out my two previous blog posts. 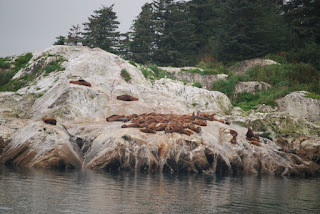 Love Finds You in Glacier Bay, Alaska - Preview Post and Love Finds You in Glacier Bay, Alaska - Review Post In these posts you will find out more about the book, ways to pre-order, pictures of Glacier Bay, and what I thought about the book. I hope you take the chance to check everything out. In this post I am going to give you a glimpse into author Ocieanna Fleiss's world. Thanks for stopping by. Tell us a bit about you and your writer's journey. Stories and characters have rattled around in my head since I was a kid, but I began seriously pursuing writing about fourteen years ago. I know! That's a long time. Like many beginners, I thought I knew what I was doing and would quickly see my name in print, but of course, that's NOT what happened. That's when I got the message. My friend Carlton (who I'd known for years) wrote and asked if I wanted to write for his new publishing company. I wasn't really interested. I'd told God I wasn't going to try to get published, so I just ignored his message. (So rude of me!) About three weeks later, he wrote again and, feeling like I couldn't blow him off a second time, I threw out my ideas, very unprofessionally (no fancy query letter, no perfectly worded blurbs or synopses). He wrote back and said he liked my ideas. He also sent me a brochure from his company and asked me to see if any of my ideas went along with their line. I opened the brochure to find...the publisher was Summerside Press! Well, hello! I'd heard of Summerside Press. I never knew my friend was the founder of it. This started a chain of events that ended up with Tricia and I getting our first two contracts with Summerside. What did this teach me? God is good. I needed to seek Him first. I needed to let go of the desire to get published and fill up with a desire for Him. I try to remember that whether I get a contract or not, my fulfillment comes from Him and my goal is to honor and glorify Him in every area of my life. I don't always do this the way I should, but He guides me along the crazy paths life takes. This is your third collaboration with Tricia Goyer. How did that come about? About twelve years ago, I met Tricia at the Mt. Hermon Christian Writers Conference. On the way home, in the airport, she handed me her manuscript--like authors do at conferences. I did a little editing there in the terminal. She liked it so we exchanged e-mail addresses. That manuscript was for her first published book, From Dust and Ashes. Once she got the contract, she continued sending me chapters and our friendship began! I edited about eight of her books and then we decided to write one together. We had such fun, we wrote two more. Tell us something about each of the books you’ve written together. LFY in Lonesome Prairie, Montana, is a simple prairie romance about a woman searching for home. Tricia and I traveled through the outskirts of Montana researching and met an amazing 91-year-old man whose father had homesteaded in Lonesome Prairie. What a blessing to talk to him. LFY in Victory Heights, Washington, tells the story of Rosalie, a riveter who worked at the Boeing Plant in Seattle during WWII. She learns to let go of her guilt and trust in the Lord--and it's a fun romance. Our research trip for this one involved talking to awesome, spunky Rosie the Riveters. I'll never forget when 89-year-old Georgie Klunkett stood up in her living room and danced. 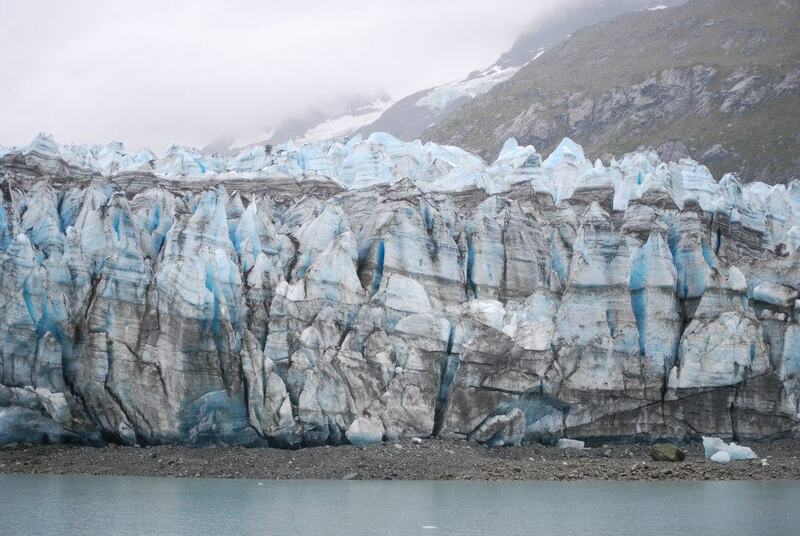 LFY in Glacier Bay, Alaska, takes readers from a contemporary tale to a historical, through letters. 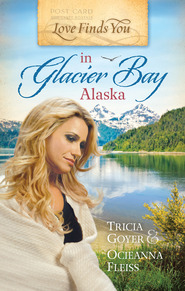 Both stories' heroines leave their normal life to explore a new world in Alaska--and both learn to overcome fears to find love. What a research trip that was! Bears, whales, otters, puffins, plus amazing folks who live in Glacier Bay. It was a joy to research and write. You’re a homeschooling mom of four. How, when, and where do you manage to write? My normal answer for "How do I do it?" is "I don't know." Truly, if it seems impossible to others, it does to me too! I don't have time to get it all done, so my strategy is to throw myself before the Lord and ask Him for help. He always comes through. As for where I write. I mostly go to coffee shops, which is very embarrassing when I'm really getting into the story and a barista catches me weeping. I also take writing weekends to a lovely spot on the water where some writing friends and I can focus and pump up the word count. 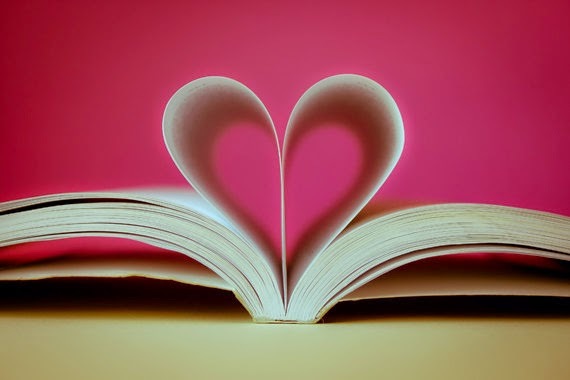 What kinds of books do you love to read? Any favorites from the last year or so? Honestly, I tend to gravitate toward the classics. I love Jane Eyre and The Count of Monte Christo, anything by Dickens. Lately I've been reading David Copperfield. My favorite contemporary author is Francine Rivers. I'm working on a memoir about my cardiac arrest. Why I read this book: I am proud to say I am a part of Tricia Goyer's 2013 launch team to help promote the books that she is having released this year. So that being said I read the book to give an honest review of it. What I did like: I like how the book just flowed. I am usually a slow reader and this book was a can't put you down type of book and I ended up reading it in one day. Overall Impression: I don't know how to exactly put into words all the good things I felt about this book. 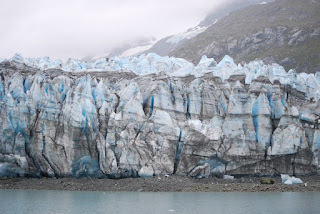 First I recommend seeing my post from December 24th and reading some of the background and looking at the pictures from Glacier Bay that the authors provided us with. Here is a link to that post: Glacier Bay - Launch Party The reason I say this is that it just made the book that much more personal to me. I felt as if I was right there and knew each person and location that was being talked about. I loved Ginny so much and wished I could just tell her to trust and things will be better in your future. Grandma Ethel what can we say about her other than she was a sweet person and knew just what Ginny needed. Who could not help but fall in love with Brett, he was so patient and just wanted to be there for Ginny. I did not care for Danny from the first moment I read about him. I loved how the book would go back into the past with the letters. I found myself like Ginny wanting to hurry up and get to the next letter so I could see what was going on with Ellie and Clay. I think everyone should take a day or two and read this book. It makes you stop and think about things and to know things are not always as you think they are. I would now love to go visit Alaska and go to the places in that Ginny went to and see all the great people of this little town with a big heart. I don't want to give to much away so I won't go into specifics of what I read but I think you will like the ending as much or better than the beginning. I think the end was very fitting. Great job to these two authors. Well worth 5 stars in my book. Hello again. I am going to take a minute and tell you about Tricia Goyer and Oceania Fleiss's newest book together. It is called Love Finds You in Glacier Bay, Alaska. First I would like to start by giving you a little snippet of what this book is about. Here goes: One signature away from a recording contract, Ginny travels to Glacier Bay, Alaska, to ask advice from her former fiance, Brett. While there, Ginny discovers a box of love letters written by Clay, a missionary, to Ellie, his children's governess. Will Ginny and Brett discover---as Clay and Ellie did---that love and healing are found in unexpected places? 320 pages, softcover from Summerside. Next I would like to tell you that if you pre-order the book now you will get it at a discounted price and what better way to get a book and save money. Also by pre-ordering the book you will be one of the first people to get this great book. I hope you stop back in a day or two to see my review of this book. I am starting my copy today and from the looks of it I may have it done in one day. Why I read this book: I read this book because I like to read Christmas themed books at this time of year and I am a fan of Rhys Bowen's books. What I did like: I like how now matter where Georgie goes she always seems to end up tangled with some sort of mystery. Overall Impression: Like the rest of this series I really enjoyed this book. I just wish I could have sat and read it in one day but alas we have to work. It seems no matter what Georgie does to try and earn a living or help herself she ends up tangled in a web of mystery and murders. I think it is nice how her Granddad is now always included in her little trips around the country. Also it seems that somehow Darcy always seems to appear out of thin air where Georgie is. How fun it would be to take part in a traditional old-fashioned English Christmas but I am not sure I could handle some of their traditional foods. What should have turned out to be a fun time helping to celebrate the season turned bad when people of the town started dieing from horrible "accidents". The ever clever Georgie knows there is more to the store and slowly searches until she finds connections to all the deaths and of course learns who the mysterious killer is. Without giving too much away I just have to say I like how the the twelve days of Christmas theme is used in this book, I thought it very cleaver the way the author incorporated this. I loved the ending of this book but can't say much more about it as it will ruin the story. I again suggest you pick up this series and enjoy the adventures of Georgie. I give this book 5 stars. I have some exciting news to share with everyone, ok it may be exciting to me and I hope it is exciting to you too. I have been picked by Tricia Goyer to be a part of her 2013 Launch Team. I feel very honored to be one of 100 people to be chosen to help with this as I know there were many people that applied as well as I know it was a hard decision for Tricia to choose. What this means for me? Well, I get to read Tricia’s books before they are available to the general public to buy. Then I will review the book. Meanwhile, I will have blog posts, twitter, and facebook posts going out that will help to promote the books. There will be some time and effort on my part to be a part of this group, but it will all be worth the effort. I am hoping to make some good friends along the way and enjoy some great books as well as turn my blog followers on to some great books. What this means for you as a follower? You will get to see a preview of the books, see what others are saying about the books, read author interviews, find out interesting facts that the author came across in their research and participate in blog hops for some cool giveaways. You will also have access to pre-order the books at a lower pre-release rate. I will be posting these links as we go along in the year. The first book that will be available is coming out in January and is called Love Finds You in Glacier Bay. This looks like such a fun book and I can’t wait to share it with you. I will be posting more information about this book in the next few days so be on the look out. I hope you will enjoy this new adventure I am embarking on and join in on the upcoming fun. 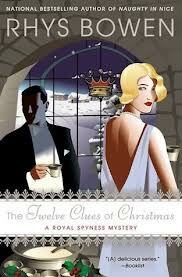 Synopsis of book: At Christmastime, it seems as though a woman’s work is never done. Trimming the tree, mailing the cards, schlepping to the mall, the endless wrapping—bah humbug! So this year, Joy and Laura and the rest of their knitting group decide to go on strike. If their husbands and families want a nice holiday—filled with parties, decorations, and presents—well, they’ll just have to do it themselves. The boycott soon takes on a life of its own when a reporter picks up the story and more women join in. But as Christmas Day approaches, Joy, Laura, and their husbands confront larger issues in their marriages and discover that a little holiday magic is exactly what they need to come together. 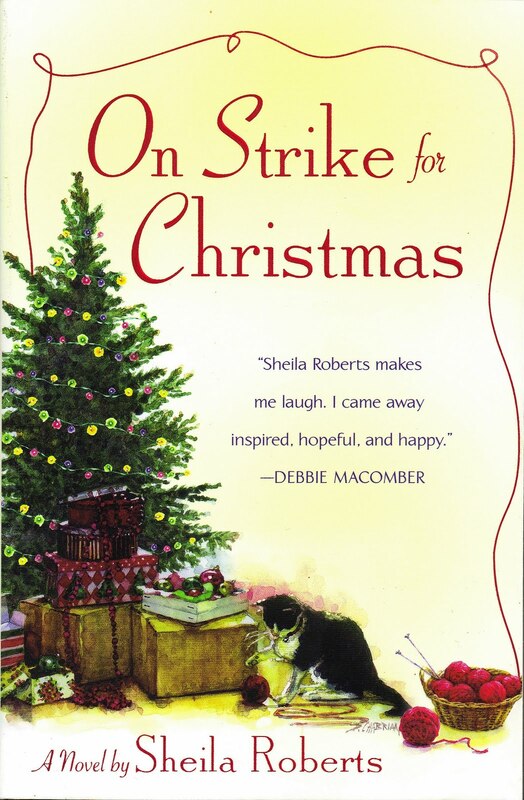 Why I read this book: I read this book because I like to read Christmas themed books at this time of year and it was the book my pen pal and I decided to read. What I didn't like: I wish we could have had a little more about Carol. I did not like how grumpy she was and kind of mean at times to the girls but it was kind of explained why she was this way. What I did like: I like the theme of the book and the way it was very light and easy to read. I also liked how in the end each story was summed up and there was an actual ending to each couples situation. Overall Impression: I enjoyed reading this book. How many of us think at this time of year - I wish I could go on strike and not do all of this. My family does not do a lot of baking and partying but just the stress of the season and making sure you get the right gift, will your kids be happy with what you got them, the crowds in the stores, and the way people forget what the season is about. Well this little town of Holly decided to do just that. The women were tired of doing it all with no help and went on strike. It was nice to read each of the couples stories and how they coped with their husbands taking over and how the husbands how to figure out how to get everything done that their wives did. I think I liked Glen and Laura because even though Laura made Glen do everything she still felt sorry for him and Glen handled the situation the best out of all the husbands to me. I think Joy finally understood that her husband just did not get into the same things as her but that was ok, we are not all the same and when she realized this then things started getting better and then Bob made a big turn and effort to try to understand that she enjoys parties and such and would just like him to be a part of it. I really felt sorry for Glen at the school Christmas program. I thought it was kind of funny how most of the town followed in the knitting groups plans to strike and how the paper followed the story. Very enjoyable book. 5 stars. 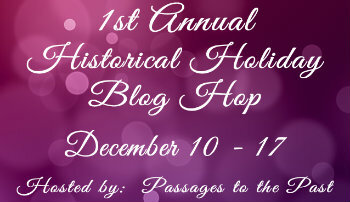 Welcome to the 1st Annual Historical Holiday Blog Hop, hosted by Passages to the Past! What I did like: I like that we learned more about Lizzy and Billy. I also liked how Hope and Ryder came together. I enjoyed reading how close this family is and their little part of the town. Overall Impression: I can't say how much I loved this book. I wish it could have gone on a little longer though. Hope and Ryder are complete opposites but you know what they say opposites attract. It was fun to watch them dance around the fact that they were falling in love. I felt so bad for Hope when Johnathan came to Boonsboro and then his wife showed up and both tried to cause trouble for Hope. Hope is such a great person who did not deserve this but Ryder comes to her rescue. I think my favorite part of the book was Lizzy and Billy. I had tears in my eyes when Lizzy was telling her story to Hope. I loved how Lizzy and Hope were able to communicate with each other. It was cool the way Ryder could feel Billy. Their story really pulled my heartstrings. I loved the ending of this book it was very fitting but again wish it could have just went on a little longer. I recommend this whole series. 5 Stars for me. Synopsis of book: Scotland, 1561, and a ship comes across the North Sea carrying home Mary, the young, charismatic Queen of Scots, returning after thirteen years in the French court to wrest back control of her throne. 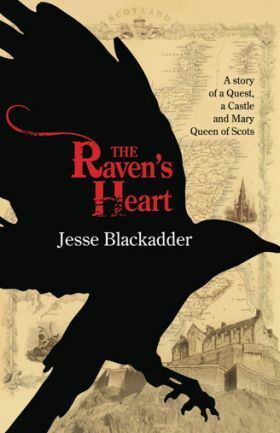 This sweeping, imaginative, and original tale of political intrigue, misplaced loyalty, secret passion, and implacable revenge is based on real characters and events from the reign of Mary Queen of Scots. Why I read this book: I was given this book by publisher for an honest review. I am also a fan of historical fiction and have not read many books about Mary Queen of Scots so it jumped out at me. What I didn’t like: I am not sure I liked the lesbian aspect of this story but I understand that it had to be in there for the story. I know there was a lot of homosexual things that went on behind closed doors during that time period. What I did like: I like that this book was full of love, mystery, adventure, murder and a lot of history. Overall Impression: This book was a fun one for me to read because as I said I have not read much on Mary Queen of Scots so I was intrigued. 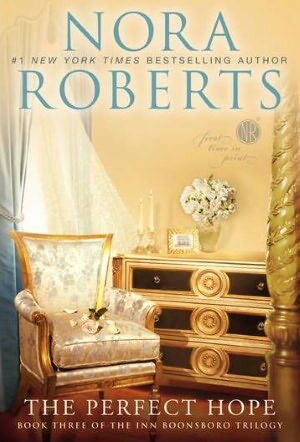 I also found it neat/fun that the author's last name is the same as the main characters and the castle. I felt bad for Allison having to pretend she was a boy just to keep from being killed. Then she started being a girl again to become a lady in waiting and from then on she was living the life of both man and woman. I thought it was kind of cool the way Mary asked Allison to teach them how to dress as a man so she could have more freedom as well. I think the author did a good job of depicting the time period in her description. I give this book 4 stars. This giveaway is for one copy of The Raven's Heart and is open internationally. The giveaway will be open until December 20th at midnight Eastern time. To be entered into the giveaway I request that you be a follower and answer the question: Who is your favorite historical character?